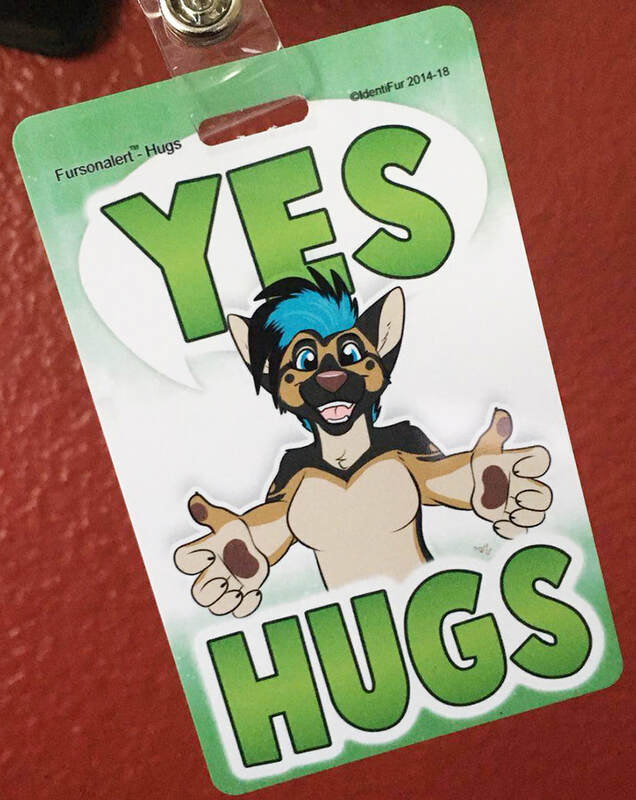 ​Don't go to your next event without a Fursonalert™ Badge! LEt people know if you are ok with hugs, to ask, or that you prefer no hugs. Also available is a "NO hugs" for injured furs. CUSTOM art of your fursona in the hug badge of your choice. Are you injured? We have NEW "No Hugs" badges with injured option. Now available in injury option! If you are injured!